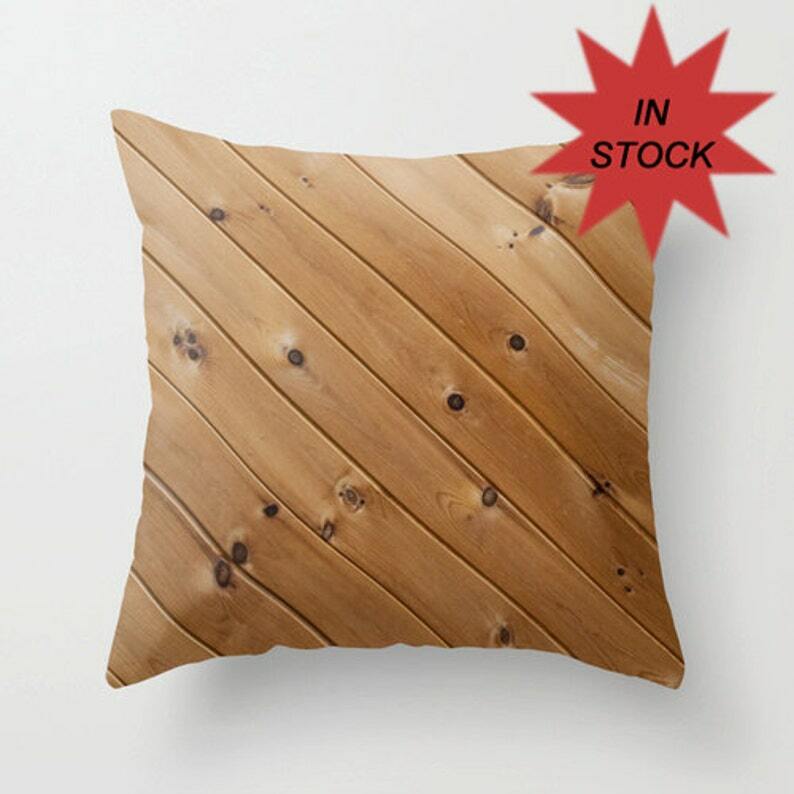 Wood grain pillow cover for the rustic home or cabin. Great gift for the guy or gal that loves to work with wood! To purchase, choose quantity on right side and ADD TO CART! Hidden zipper at the bottom of the cover to easily remove cover for washing. Pillow insert not included but available at most craft or home decor store. You can also simply slip the cover over an old throw pillow.